A humble servant of God. The Priest is a powerful warrior who has dedicated his life to holy pursuits, namely the eradication of evil. He is driven by a single mission: to prevent the resurrection of the demon Ozma and his devilish minions. To aid him in this pious pursuit, the Priest carries large, terrifying weapons, such as giant wooden crosses or daunting totem poles, with which he bashes open the skulls of all creatures that dare cross him. 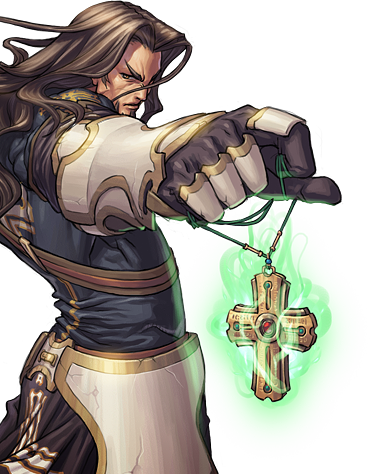 Blessed by holy power, the Priest also has limited magical ability, used for healing or enhancing himself for battle. Slow but hard hitting class. Possesses an innate healing skill. A magic using class that is the toughest out of the Priest subclasses with a plate armor mastery. He mainly uses Crosses (magic/defense) or Rosaries (magic). He has two main builds: Battle, which focuses on his offensive skills and Full Support which focuses on his healing and buffs. While very useful in endgame content, Full Support builds are not recommended for leveling before then. He mainly uses his fists after removing his weapon with Will Driver, creating a field that buffs him. 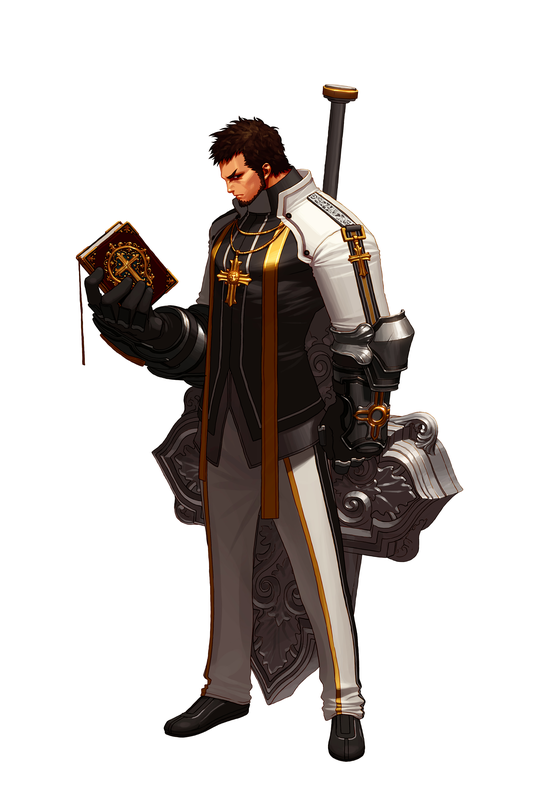 He also boasts considerable speed and combo ability for a Priest subclass, partially due to his Light Armor mastery. Totems are the Monk's main weapon. A subclass that can focus on slow put very powerful physical attacks or magical attacks that have AoE and various supporting effects. He has three masteries: Cloth, Heavy, and Plate, each to suit a different build. His main weapons are Rosaries (magic), Scythe (speed), or Battle Axes (raw physical power). 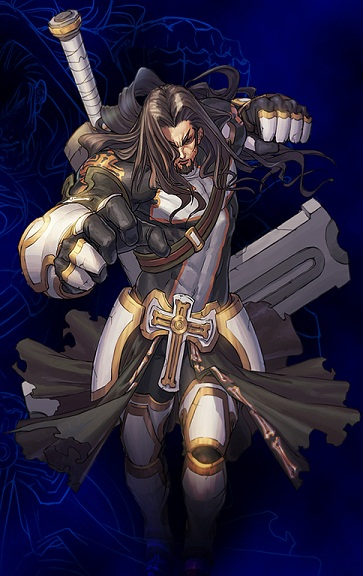 Unlike other Priest classes, he focuses on Shadow damage and able to use his demonic power in various ways. The Avenger is a mix between speed and durability, making him the jack-of-all-trades Priest subclass. His main weapon is the Scythe.